Are we making the best use of our time in this life? Are we to simply pass our time in whatever way possible so that we can get to the hereafter? How are we to balance our time across various aspects of this life? Is there a right balance? Are our life’s priorities purpose driven? These are some of the questions we Muslims ought to ask ourselves to get the most from our lives. It matters because we have at best only a few years to live. Considering the various phases of our lives individually, the available time is even shorter. Have you thought whether you will be satisfied when you get to the end of the road? Will you do things differently if you know how much time you have left? What if your remaining time is very little? Time is passing us quickly – and as it does, we should ask ourselves whether we have much to show for it. Are we fulfilling both our religious and worldly responsibilities? Are our families getting our fair share or is it all about other matters? Are we balancing our time across all other obligations? Are we even conscious about how we use our time? Those who have run out of time will tell us its value. Ask the old who have nearly run out of time or ask the terminally ill who have been given only a few months to live. They will tell us how productive they would get if they got more time. The reality is that our lives are too busy and daily routines too engaging to make us pause to assess what we are earning or opportunities that we are missing as we pass our allotted time. But here are some of the things we can do to ensure that we use our remaining time in this life effectively. As Muslims, we believe that Allah not only created mankind but clarified their purpose of being here. That may seem quite obvious to some but questions related to the “purpose and meaning of life” have been grappled by western and non-Muslim philosophers for centuries. The foundation of our Islamic beliefs thus does away the need to get entangled in the philosophical innuendos of the topic. Islamic principles make it clear that Allah created life, this universe, and the rules that embody it. And mankind is to worship Him by submitting to those rules. “And I (Allah) created not the jinn and mankind except that they should worship Me (Alone)” [al-Dhaariyaat 51:56]. Needless to explain but a sense of purpose can help in reconciling the many complex questions and issues that aren’t always that easy for us to comprehend. It helps in imbuing the energy that we need to keep moving irrespective of the challenges that we face and to adhere to a system of living that we believe was designed by the Creator for His Creation. As straightforward as it may seem, there is something inherently complex about taking action in life that prevents many from failing to accomplish enough. Ask yourself if you could have accomplished more by this time in your life by taking more actions in the past? What is it that stopped you from accomplishing more? As it turns out, many of us fall victims to procrastination, never ending planning, or simply failing to have the discipline or courage to decide to act at the right time. The result is that time passes without us accomplishing much or not as much as we could have. 3. Except those who believe (in Islamic Monotheism) and do righteous good deeds, and recommend one another to the truth (i.e. order one another to perform all kinds of good deeds which Allah has ordained, and abstain from all kinds of sins and evil deeds which Allah has forbidden), and recommend one another to patience. By refocusing to become more action oriented will help us in accomplishing more and thus make life more fulfilling. So, as various media channels provide us with the opportunity to get plugged in to a world of information and knowledge, we must become selective in its use based on what benefits us. Taking the time to pause often and reassessing of how we use our time can help us refocus, reprioritize and reenergize. It can also prevent us from going to extremes where we focus on certain priorities of life more than others. It is thus time to reflect these principles in our actions and accomplishments. I’m glad I read this..
Guide us all to your path for you know we are weak! An inculcative article, may the author and all us Muslims be guided. This is the essence of taqwa, i.e., being conscious of Allah, Azza Wa Jal. Everything we do should be with the intention of pleasing our creator. It should be compliant with the shariah, the sunnah as well as the aqeedah and the manhaj of Ahl-ul-Sunnah wa Jam’ah: the ways, understanding, and methodology of the rigtheous precessors. Wow the article could not have been sent to me at a more appropriate time than now!!! I now have a clear knowledge of exactly what I have to do next! Thank you so much. Really the very good one, actually we as a Muslim forgot our duties and priorities and the peoples other than muslims are following the teachings of Quran and getting the success and peace in their lives. 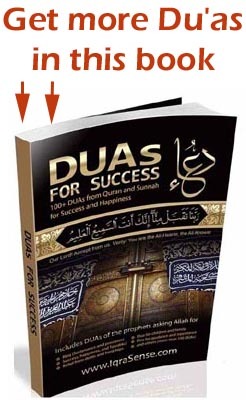 I read many personality development and management books along with Islamic books and found whatever written in those books is already there before 1400 years in Quran and Mohammed SAW teachings (Sunnah). May Allah SWT benefit the Author and the reader from this article, Amin. this topic is really insightfull, and its my pray to Allah (SWT) THAT WE SHOULD ALL FIRST STOP FOR 5 MINUTES and ask our self that are we doing the right with the ones we love or claim to do? Are we really honest with each other or just fulfilling another wrong will? This is what Quran tells us to do, if we have to make the most of our time and wealth, health or some thing to dedicate. and ofcourse Quran is not just a bundle of pages the orders it reveals on all of us like pray five time and fasting and so many others, we must should do that as well, but also first is the rights of people who belong to us. 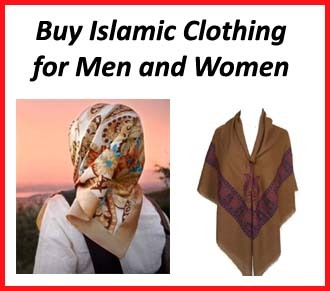 Every so often, I will get an email from IqraSense about some Islamic topic. What I have discovered is, strangely, the emails so far seem to address exactly the issue that I was seeking guidance about. It’s strange, but then not really. Allah provides for us from whence we know not. Jazakumullah…. Thank you so much for reminding. It is really helpful to bring back a person on the path he/she has been created for. May Allah bless you and us all. I wish all of us practice the good mentioned in this article. Another eye opener article. Great work! Alhamdulillah, your article really emphasises the state of our community at the moment. Everyone is so distracted by the glitz and glamour of this worldy life that they forget our purpouse. The shaytaan has created all these worldly things in order to lead us astray. May Allah (SWT) guide us to the straight path, InshAllah. Shuran lakum wa jaza kumu’Llah Khaira. What a thought provoking piece of nasiha! very interesting and guiding the mind of the faithfuls. It a well encompassing write up that should not just be read and allowed to drain out. 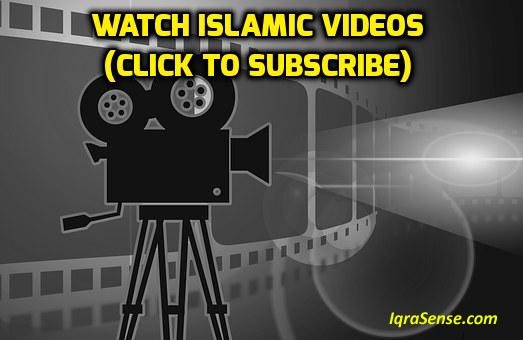 The greatest challenge of the muslim world is the factor of time utilisation and management, and that is the bane of our Ummah, Shaitan the accursed and his followers have devised various means of distraction. It is the help of Allah SWT that such write up are available, this may serve as panecia to this challenge. I thank the writer and pray that it will be of benefit to all of us. A very good spiritual nourishment. Salams,,just wanted to say that u guys are doing an amazing job..another very meaningfull and relevent article…keep the posts coming..may Allah swt bless you. Masha Allah, barakalLah. JazakalLah khairan. May Allah continue to guide us all Amin. i just wanna say: goodjob! 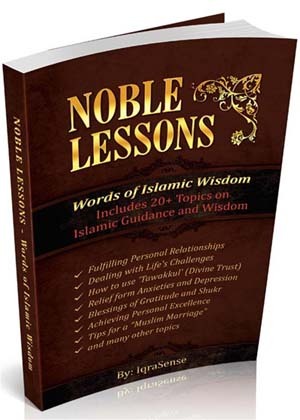 very nice.i am very happy to read all this.very good topic.Jaza-K-Allah.May Allah bless you. I am very fortunate to received (see & read) great Article & very very thankful to all of u (Team). Jazaakallah Khair for the valuable reminder. We need to reinforce it in our minds and hearts…in our beliefs and actions. Thank you for such a good piece of advice. I love reading arabic books especially the Quran and Hadith and good stories of prophets etc. so that we can inculcate in us their way of life, sacrifice etc. without which they could not have been closer to God. I have read a book on time management but still not following 100%, but article like you sent me has really enlightened. I was not understanding interpretation of Quran properly. Now, I have downloaded audio and script and going through on the PC, which I am able to follow at least 60%. I would be very happy if you could continue to send such pieces of information. May Allah the Almighty give us the attention,energy and Iman to put in to practice what we learnt from this article. even i am a nonmuslim but i would like to follow the culture of muslim as its best rather than other religion. 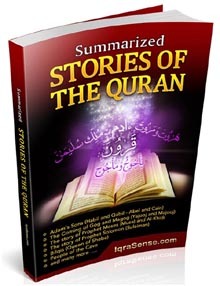 I read the and Jazakallah khair for the valuable information, i will share it to my firends by email or facebook. your topic: Aligning our time to life’s purpose and priorities. comes as a wake-up for those that are yet to realize the importance of their existence, particularly those blessed to be closer to almighty allah in their life activities.May allah guide us . I’m thankful to the author of this article.If the sayings are followed by a muslim person,he would obviously be a mumin musalman.May Almighty Allah Bestow His Mercy upon the Author and all the readers of this article. One way to remember Allah is by saying Bismillah before all that we do that way we can decipher if what we are doing is for the sake of Allah. If it is not for the sake we will at least know would know if we benefit from our actions. Example, Bismillah before studying for an exam your career which can be an act of worship depending on what you are doing as a career, or Bismillah before before one goes Shopping for a Benz. I love the piece I just read because I was in a procrastinating state right before I read it and know I have made my decision to take two years off to learn The Qur’an before I go to college to pursue my career. Bismilliah to both! Our religion’s emphasis on discipline is illustrated clearly by Salaat. At regular intervals and in a compact manner. Ma Sha Allah, this is very educative write-up. I have certainly enjoyed reading it. May Allah reward us all, ameen. Jazakhallah for this, Allah really does guide his believing servants I have had alot of time on my hand having lost my job and been in alot of financial difficulties etc however I have used the time to get closer to my Rabb and I am grateful for him putting me through this test where I can be cleansed. This article made me realise once again how little time I have in this world and reminds me that there’s so much that I need to do before meeting my Rabb. Thx for the message.May Allah reward you with aljana. amin. Alhamdulillah. Thankyou for d great reminder. May Allah bless u all. Maashaa Allah! That was most fitting, for the whole world and everyone therein would be a better place to live in if only the contents of this article could be established in our lives. I pray that Allah (swt) forgive us all and guide us to the path He (swt) favours most. May Allah (swt) reward you for publishing this article. Apart for me printing it out and reading same to me family, I will, Inshaa Allah, email it to my contacts as well. This was a very good article. I have heard the saying so many times, “we only live once so enjoy life”. But we are not on this world to enjoy life but we are completing a test as to how we act in this life. We are so busy with the cooking and cleaning and at the end of the day we forget so many things that we could have done. If you cant read quran during the day you can still listen to it and learn, or even listen to a hadith. I think sometimes we just drift away from the remeberance of Allah and are to busy we our worldly needs. I am going to make a list of good things that I want to achieve every day and make it my daily routine Insallah!! I’m so glad i read this now,because i’m now back on track….thanx…..insha Allah i’ll see to it dat i make the best out of my time. u r doing a great job may ALLAH gives u succes…. Asllaoalykum brother iam old 65yrs ihad health problem with my heart and my bones, but AllhamdolliAllah with my good eman and my worshing my Allah he make it so easy for me.As you maintioned it in this artecile , Jazak Allah khier. Assellamalliekum,this topic is very helpful thankyou for the writer. Thank You and very thoughtful, May Allah (SWT) Bless us all. Ameen. MaShallAllah (whatever Allah wills!) This was a very good article. Thank you for using the example from Hadith and the Quran versus to support your statements, this is very helpful. May Allah reward you with good. Asalamau Akeykum My Muslims brother and sisters all over the world! May allah swt make us those who act upon the advise and the righ path! Amin Ya Allah! ManshAllah…JazakAllah to the writer and IqraSense!! 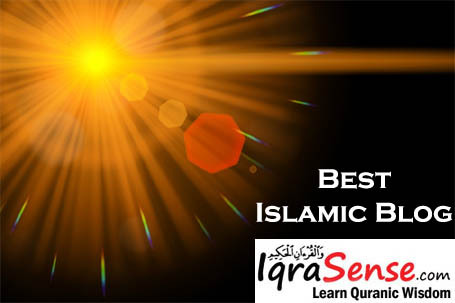 I really Thankful with my heart to Iqrasense team who provide us such a good islamic information that show us the way of real life, Subhan Allh, in this busy life many of us not get the time to assessment ourself & we have made busy itself, but these articles can change our lives & we should know how far we are from our purpose. the message is a reminder of what i m doing and for what i m doing . Alhamdulillah i am a Muslim! Everything in life is created with time and purpose. I pray Allah subhanallah allows us to obey HIM and follow the path laid by our dear prophet (SAW) Amin. Al-Hamdulillah. This the most important matter for the Muslim Ummah. May Allah help us to follow this lesson. Jazakaalh, I really got inspired from the reading.. Many thanks for this article. It is very informative and I’m so glad this website. It gives positive energy ..
Allaahu Akbar!! so often I want to do this, or do that, and I end up doing the other thing or nothing. Of late, I have decided to make use of this time that I am no longer in school, and unemployed. I have started the process to return to school in the Fall (insha’Allah), and seeking employment since returning to my home town, 6 months ago. I have decided to take this down time to get my Islamic house in order. This article simply re-affirms I have decided on the right path. 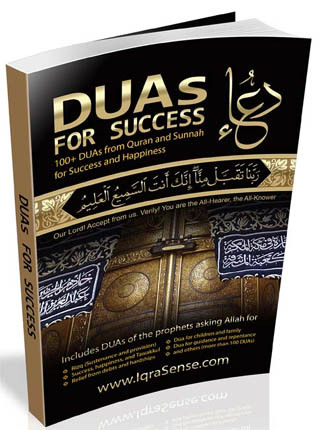 More Islamic reading/learning, more focused attention to my Deen and it’s practices. Thank you so much for keeping me reminded of my Lord daily, hourly too. I am nothing without my Lord, Allaah (SWT) and I can do nothing without my Rabb. I turn off the t.v. stay off the phone with friends, don’t consume so much junk food to keep me sleeping, and motivated. Wow! I feel better, my mind is clearer and I have an interview scheduled for tomorrow. Shukron!!!! This is worth-reading. It truly reminds us of the true value of time. Shukran. Jazakallahu Khairan! mashallah very nice , its very important for us that we utilize our time for the benefit of society and for the Khalis Raza of ALLAH (S.W.T). I appreciate the writer for reminding us linking life with the life purpose. 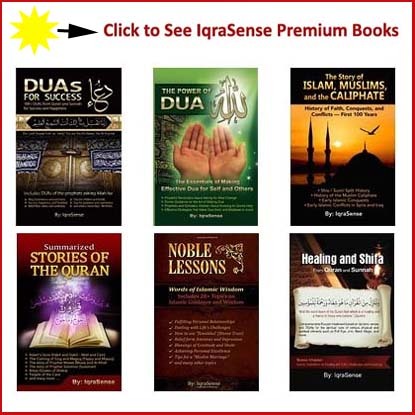 I also thanks IqraSense for sharing. May Allah benefit all of us with the message. 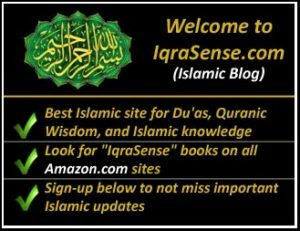 Whenever i received an email from IqraSense about some Islamic topic,it remind me to organise myself in much better way by following the teaching of Islam. Allah provide me the requried strength to overcome the challenges of daily life . 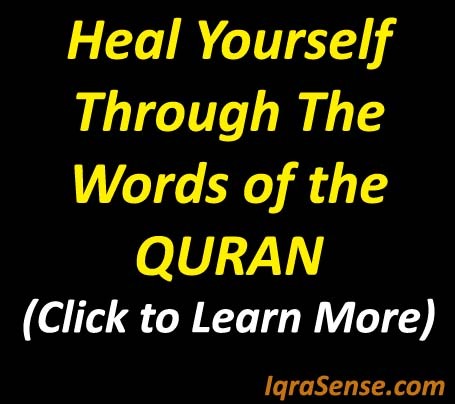 jazakallah…thanks for iqra sense….i felt happy and its a good thoughts for all muslims….i request to send many more……. subhanallah…….one i want to make remember of allah by reading the ayath which informed our life style in quran i.e 18:45.wealth and children are an ornament of the life of the world.but the good deeds which endure are better in the lord’s sight for reward,and better in respect of hope.. I wish all mankind had such golden chance to read the same!!!!!! 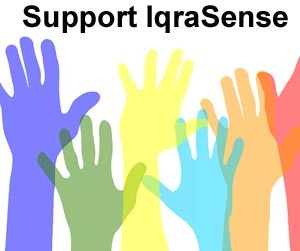 May ALLAH reward the Iqrasense team abundantly!! May Allah enable us to be midful of time. My Allah reward you abundantly. A very inspirational and learning article. Time is not on our side as the morning comes and the evening goes. it might just be a day but the day is gone and can never come back. Thank you for the information. JazaakAllah Khair for this timely reminder which is beneficial for all. Pray allah, Follow Muhammed Rasool ullah sallalahu alihi wasalam. sure you get peace and hormony in life and here after. I needed such article long ago! Though too late, it can remind me that Allah has stil kept me alive. I will try my best to utilize this disabled time time n a worthy deed! This is one of the things that we need to prioritize. We (the Muslims) have so much literature on this subject in all languages and we need to use it to benefit us, our families and our communities. May Allah (swt) rectify for us our state of affairs. Aameen! Proud to be a muslim………. This is what i wanted.you have released me of my worries.This wordly bondings are all temporary.only ALLAH is eternal.ALLAHU AKBAR! Masha Allah… A very useful & vital reminder to us all. Allah Ta’ala tells us in the Quran that we are all losers except if we have faith & try to accompany that faith with good deeds (suratul Asr). Since everyone wants to be graded as a winner by the Highest Judge of all,all,may we be able to utilize our time well in the sight of Allah. Jazakallahu khair katheeran. wow mashaallah i find it so relaxing…truly ALLAH has given this treasure to we Muslims..we can use it as abundantly as we can..I have really wasted many precious years of my life but i am greatly thankful to my LORD that HE has provided me with the oppurtunity to correct myself..Seriously life is too short,we cannot take it for granted …its just like a bubble very uncertain of its ownself. Assalamu alaikum, i found this very inspiring and relaxing.A great reminder of our true being and our deeds. mashallah! I pray to Allah that He should bestow upon you strength and more ability to publish great things. This not only helps us to live our daily life, it also encourages us and by that our will power becomes solid. May Allah keep as always under his great mercy. He is Great. thank u indeed for the article . May God give u long life. the articles are very useful. Ya Allah give us strength to become a true mom in, Ameen! Yes we should not waste our time even a single minute. Life is short and daily what sins we do sometimes we dont know. We should ask Allah to forgive us. To remember Allah is not just our prayers and reading Quran. We can remember Allah in our hearts. We should read Kalima in our heart read Allah names in our heart.while we are in our office or in kitchen we can read duas read names of Allah and Kalima’s. very useful advice; inspiring certainly! suggessions would help in avoiding involvement in useles work. ALLAH bless our writer! Assalamu alaikum, I find this topic very moving and a great reminder of what a true muslim should do during his life span. Assalamu alaikum, really it was like a blessing for me to read this and i wish and want myself to implement all the good which is inside and i ask the help to ALLAH for doing that, Aameen. I personally and on behalf of entire Umaat e Muslima-ah is grateful to Iqrasense for this pious Article, please keep your good efforts continued. Jazakallah for this wonderful article. it is a real eye-opener. Indeed very moving and inspiring a great reminder for those who are carried away by the material things in this world. Hope this should remind you to think about the hereafter.Jazakallah to all and may Allah guide us all. Assalaam alaykum warahmaturLLAH! May ALLAH bless you and continue with the same efforts to raise this kind of consciousness to Muslim Ummah. Time management is a thing really forgotten by the majority of the Muslims. JazakumuLLAH Khaira,may ALLAH reward you abundantly. I’m so grateful to Iqrasense for emailing me articles on a regular basis. All the articles I have been reading have really helped me refocus and evaluate my life. It has also helped strengthen my faith in Allah (swt) even more. I am more determined to strive towards correcting my actions and following the correct path that Allah will be pleased with. I pray that Allah forgives all the muslim brothers and sisters across the world for our sins and guides all of us to strive in unity towards Islam. Every one of us have been created by Allah, we should be grateful and thank Him for the life and everything He has given us (even if we feel its not good for us, or life is difficult). Allah knows exactly whats in our heart and mind, so anytime you feel happy, sad or distresssed just remember Him, have faith in Him and above all beleive in Him and watch how Allah makes miracles happen in your life. When ever I come across this article it increases my strength and power as a true Muslim. I always post it on Facebook and twitter so more people come across it and read and benefit . Jazakallah , thanks for writing such a good article. Thanks and praise be to Allah the lord of the worlds.This is indeed a mercy from the Almighty Allah to me and those whose Allah make it possible to have this bountiful knowledge. Mashallah very beautiful articles and this is what i needed . Thank you ! Dear brothers and sisters in eeman, we all accept the fact that it is a very important and comprehensible article, Time as said is very very important to every one especial we Muslims. So lets not only read this article, enjoy the beautiful grammar and then sit back and cross our legs without attempting to put into practice what we read. As stated in the article we Muslims should be action oriented, Taking action to this article will be a step in the right direction. Lets all help to uplift our dear religion, Then best thing that can happen to any human being is Islam. May we be Muslims of action and not word, may Allah subhanahuu Wa ta’alah help up to fulfill each of our every move in Islam and in our daily lives as Muslims, may he give us the strength, eeman, and the ability to what is wright and prevent us from the wrong. Every soul should read it and try to apply in everyday life. Shukran and may Allah guide all of us Muslims to the right path ameen. Wa alaikumul salam, may Allah reward u abundantly nd give us d capability to move islam forward amin. May Allah guide us to the right path. Thank you,may Allah bless you. May allah give a reward the writer of this article for sharing this good article with us. I enjoyed reading this article and learned many things that can help me to use my time wisely. salam jazakallahu for the admonisment may Allah reward abundantly amin. May Allah give me and all his slaves empowering wisdom in the light of islam to train our selfs correctely in all aspects of life. masha ALLAH very much soothing and appealing article.